Montreal, Canada-based Kontron Communications (KCI) is one of those companies that, while few have heard its name, enables some of the most innovative, cutting-edge services in the technology industry. Last year, KCI acquired software defined networking (SDN) provider Inocybe, expanding its automation capabilities, pivoting the company towards the Smart Infrastructure marketplace, and growing its global profile to support the core, cloud, and edge. Infrastructure faces more and more demanding applications. As data-intensive technologies like 5G, artificial intelligence/machine learning, data analytics, Internet of Things (IoT), autonomous vehicles, and media (i.e., video transcoding) continue to gain traction, the hardware form-factor has become as essential as the software. In addition to supporting these applications, smart infrastructure must now remotely deploy software-based services and automation on devices, and monitor, orchestrate, and provision hardware-based resources without human intervention. For example, today’s service providers reduce margins and lose revenue when they deploy just one truck-roll at the edge in support of a hardware failure. Smart infrastructure helps service providers to be more efficient, profitable, and smarter. Software-defined Infrastructure (SDx) helps organizations and service providers to abstract hardware from software and move away from expensive and proprietary equipment to more flexible, open software options running on commodity hardware. However, commodity hardware from Dell DELL +NaN%, Hewlett Packard Enterprise HPE -0.33%, and others is not always suitable to run the next generation of demanding applications; it usually comes at the expense of security, quality, and flexibility. With all the security concerns about Chinese equipment providers like Huawei and others, there is a growing demand for companies to know the origin of the components that make up their products (especially for OEMs). Understanding equipment chain-of-custody and having the ability to trace solutions from the manufacturer, through the assembly, and to the customer improves the user experience and, most importantly, security. Understanding the origin of hardware is essential, especially within distributed networking environments where disparate hardware and software solutions are deployed at the edge. The industry must establish standards and transparency around cybersecurity. Huawei’s recently announced cybersecurity lab in Belgium is a good start for the company to rebuild trust and alleviate security concerns about its products. I do expect this trend to continue; service providers will turn to equipment providers closer to home with which they can reduce security risks, improve visibility into the manufacturing process, and achieve more flexibility in terms of the form-factors within their hardware. Another side effect of Huawei’s security woes is that the days of choosing a hardware vendor for edge or core deployments solely by cost are dwindling. 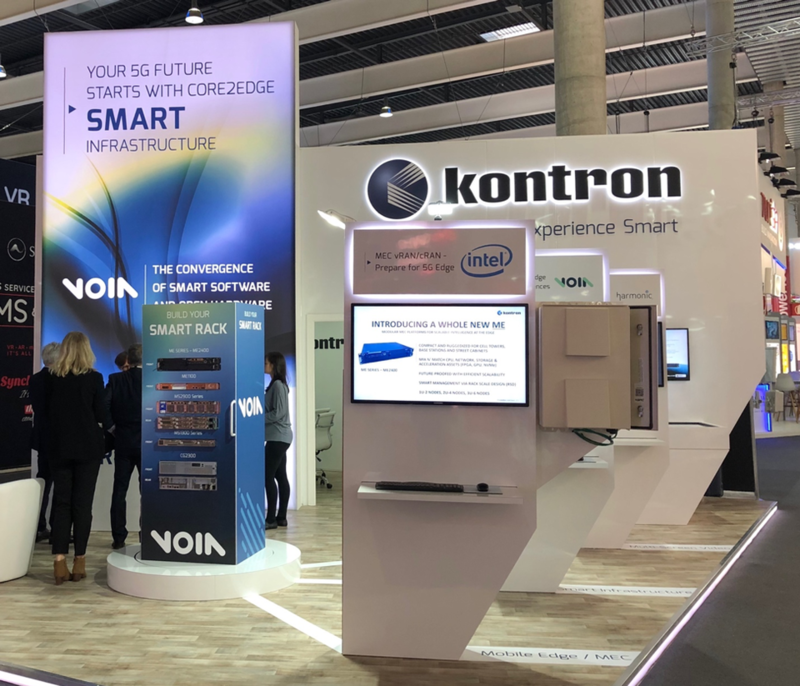 Kontron Communication’s recent pivot to smart infrastructure makes it more competitive in the industry and, more importantly, allows it to address the needs of its customers. KCI prides itself in being large enough to scale to meet any customer demand, but small enough to bring the right hardware solution to support its customer’s needs (stemming from its long history of custom-built OEM solutions). Although 5G adoption will take several years to become a reality, it represents a significant revenue opportunity for service and equipment providers as they update and deploy infrastructure in preparation. Moreover, as the communications industry evolves, internet traffic is quickly moving away from the desktop to the mobile edge. Further complicating things, IoT, self-driving cars, and smart cities will not only increase data traffic at the edge, but backhaul requirements will require more processing power from edge hardware as well. Carriers are not equipped to respond. Most analyst egg-heads (like me) predict the future will be a hybrid environment, consisting of multiple clouds (public or private) to support multiple workloads. The next generation of compute hardware will be a hybrid of the traditional network equipment, commodity, and the in-between to support the next phase of data-intensive applications and workloads. Kontron Communications is positioned well to take advantage of this next era in edge and core computing.